This custom engineered and designed eight-hospital system with Sodexo branding on one Greeter Board in each of four hospitals, one Greeter Board and one Dining Room Board in two hospitals, one Greeter Board and three Menu Boards in one hospital, and one Greeter Board and four Menu Boards in another hospital. 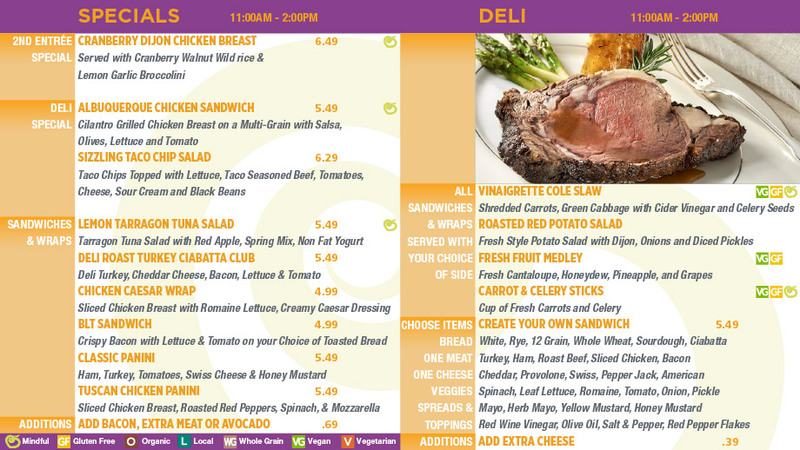 Menus automatically display by meal period on 35-day and 5-week menu cycles; include nutritional menu labeling icons for Mindful (Sodexo’s healthy menu items); foods that contain whole grain; foods that are gluten-free; as well as organic, local, vegetarian and vegan offerings. 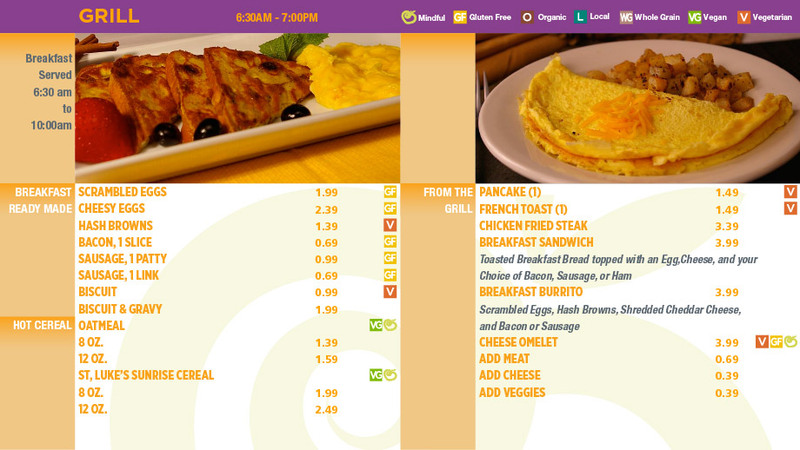 All menus include animated food photography.